BAC Readers in Bars and Restaurants? What role do bars and restaurants have to play in preventing or proliferating drunk drivers from hitting the road? Many drunk drivers come from bars and restaurants where they drink too many in social situations. However, there are still people that drink and drive after coming from a party or alone at their own house. Washington state has laws that state that bars and restaurants will be liable for over serving their patrons and share financial responsibility for any accidents that their over served patrons cause to others. This is known as dram shop laws. The theory is that bars and restaurants are profiting off of others and the communities loss and costs. When a drunk driver leaves a bar and kills someone, the community, tax payers, and everyone loses. However, the bar may get away with the added bar tab unless someone can track the drinking of the driver to that bar, at which they could be liable for $1 million or more in damages that someone or their family sustained because of a drunk driver seriously injuring or killing someone. Most bars and restaurants carry $1million in insurance coverage to cover the very instance of someone drinking too much at their business and injuring another person by drinking and driving. The insurance limit should be much higher, however, as someone being injured or killed by a drunk driver suffer far more than $1 million in damages. Drunk drivers are usually irresponsible people in general and carry low if any insurance coverage. In Washington State, the minimum insurance limit is $25,000, far too low. For a $20 to $50 more a month, people can get $500,000 in insurance coverage, but everyone is trying to save money. Most drunk drivers do not have a high amount of insurance coverage and repeat offenders are already paying increased premiums so they may opt out of the higher coverage or any insurance at all. What can bars and restaurants do to prevent people from drinking and driving? Bars and restaurants must train their staff to know and recognize signs of impairment and not serve alcohol to these people. One way that bars and restaurants could know for sure how drunk someone is, is to install BAC machines at their bar and only serve people below the legal limit. Installing a BAC machine and bars and restaurants can be an effective way to prevent their staff from over serving people that have been drinking and are too drunk. However, this will only go so far unless another rule is put into place: no sharing alcohol with others only giving one drink per person, no more pitchers. Combining these rules would help combat drunk drivers from hitting the road and allowing bars to not be sued as often for over service. Obviously, this would not be the best for the bar or restaurants pockets as they make more money when more drinks are consumed. However, this would go a long way to preventing people from drinking too much and getting behind the wheel. Preventing drunk driving car accidents should be our goal, not profits of bars and restaurants. How do you know who is driving and who had a designated driver or is taking an Uber or Lyft home? This could be a huge problem with making BAC machines mandatory for all bars. However, public intoxication is also a crime that is to be prevented from bars. What is the legal BAC limit for public intoxication? It is up to the officers discretion but .08 BAC is a factor in determining if someone is drunk or not. A person could walk into the street drunk and get hit by a car. 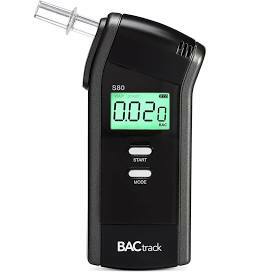 Portable BAC readers are a lot more affordable today than they were say 20 years ago. You can go to Costco and buy one for about $150. Bars could easily afford to buy these. How reliable are BAC readers? People are drunk at different levels and BAC machines are not all the same for calculating levels, but they have gotten better. However, .08 BAC is .08 BAC and the legal limit, so that is not a good argument. Maybe requiring bars and restaurants to have BAC machines would create more accurate machines so that police use the same machines. Anything that we can do to prevent drunk drivers from getting behind the wheel and killing others should be considered. What are your ideas?